Lodging Partners :: Ski The Loup! Ski Education Foundation, a non-profit organization. The following hotels and resorts partner with Loup Loup Ski Bowl to offer their guests discounted day lift-tickets for up to 25% off of our listed retail prices. The Town of Twisp has the closest lodging to the Loup Loup Ski Hill. 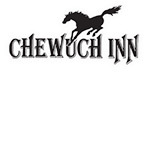 The Chewuch Inn in Winthrop is the winter enthusiast’s idyllic getaway. One block from the Winthrop Nordic trailhead & ice skating rink. Half a mile from downtown Winthrop’s dining and shopping, and an easy thirty minute drive to The Loup Loup Ski Bowl. Large outdoor hot tub, full buffet breakfast, fireplace rooms and cabins. 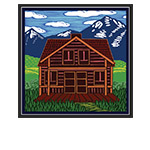 Finding lodging for your stay in the Methow Valley couldn’t be easier with Central Reservations! We feature an extensive selection of accommodations for short stays or longer. Make your reservation online or give us a call for a personal recommendation. 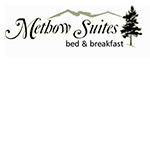 Methow Suites Bed & Breakfast in Twisp is a family-friendly bed and breakfast. Enjoy a wonderful skiers breakfast before enjoying your fun-filled ski. This is a great place to rest, relax and rejuvenate. Both rooms have a private bath and TV. In addition to your room enjoy a relaxing living room with TV, a library, many table games and a piano. 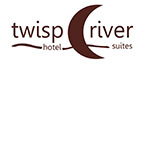 Twisp River Suites is the newest, luxurious, and most convenient place to stay when considering all of the activities the Methow Valley has to offer, located just 12 miles from the Loup Loup Ski Bowl, in downtown Twisp. Experience incredible views from your private deck overlooking the Twisp River, while still walking distance from the Twisp Bakery, Confluence Art Gallery, Merc Playhouse and Tappi restaurant. All suites feature full kitchens, gas fireplaces, private decks with river views, and optional lock off 2nd bedrooms. Hosted by Joe Marver. 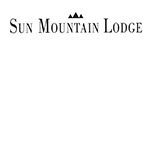 Sun Mountain Lodge is Washington State’s premier four season, AAA Four Diamond resort. Featuring 96 luxury guest rooms and 16 modern, full equipped cabins, Sun Mountain Lodge is the place for winter fun. Award winning dining room, bar, and wine list. Full service spa. Two hot tubs. Full service cross country ski shop with rentals and instruction. 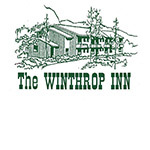 The Winthrop Inn is a smoke free facility nestled in the old western town of Winthrop. The Inn rests on 4.5 acres alongside the Methow River. At this AAA-rated Inn, all rooms have microwaves, refrigerators, satellite TV, DVD & VCR players as well as wireless internet. A complimentary computer is available as is copy & fax service. Morning coffee bar with hot beverages & homemade muffins. 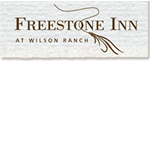 Located just 15 miles west of Winthrop in Mazama, the Freestone Inn offers a quiet setting and casual atmosphere. Our 36 units have either a lake view or forest view, private veranda or deck and fireplace. Come experience the beauty of the Methow Valley. 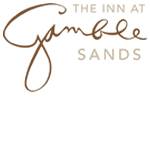 Completed in September 2016, The Inn at Gamble Sands in Brewster offers 37 luxurious rooms, each with stunning views and a gas fireplace. We created the type of place where people gather together at the end of the day, share stories, enjoy refreshments, take in the fiery sunsets, or just simply gaze at the nearby Columbia River and Cascade Mountains on the horizon. Sit around our outdoor fire pits or relax in the 24 person jacuzzi while taking in the views. We also offer a breakfast buffet and full service lunch and dinner on-site at the Danny Boy Bar and Grill. Located between Twisp and Okanogan on Highway 20, Loup Loup Ski Bowl is just a short trip between the Okanogan and Methow Valleys. This institution is an equal opportunity provider and is operated under special use permit with the Okanogan Wenatchee National Forest. Spring pass on sale now though June 1st- buy now & save big over fall pricing!